Thimpu’s unique geographical setting has not prevented travellers to flock the Bhutan capital. It takes a bit of travelling time from the airport to Thimpu but the idyllic city is well worth the effort. Although bordered by the Himalayas from the rest of the world, Thimpu has a five-star hotel that’s nestled against lush mountain backdrop. The Taj Tashi Bhutan. 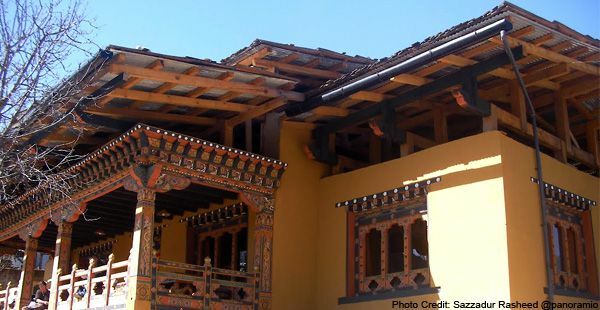 From a distance, the hotel proudly bears a traditional Bhutanese Dzong architecture. Inside, the hotel exudes aspects of the Bhutanese art, with hand-drawn Buddhist murals in the 66 rooms and enchanting hallways. Aside from the inviting and cozy rooms, the hotel has hot stone treatment tubs in the Jiva Spa for pure physical and mental relaxation. The spa offers a healthy cuisine that reflects Bhutan’s affinity to total well-being. Other hotel features include a tea lounge, an outdoor and an indoor bar, an elegant indoor pool with a gaping view of the mountain, a fitness center, and its two restaurants. Hotel rates start at $450 a night. For a more practical lodging, the Wangchuk Hotel is a reasonably priced at around $20 for a standard room. It has all the modern conveniences that travellers look for in a secluded vacation place, and it is located within close distance to shopping centers and the bus terminal. The dining facility offers Chinese, Bhutanese, continental and Indian cuisines that are very affordable. Hotel Druk is a new boutique-style accommodation with a homey feel with lavish wooden furniture and friendly atmosphere. The family-owned hotel ensures that guests will experience a personalized service. Hotel Kisa has a clean and modest-sized restaurant, a coffee shop, Wi-Fi connection and an airport transfer service. The sunlit rooms are quite spacious, with window views of the cricket ground, the archery range and the stadium. The standard room is around $65. Budget hotels are quite plenty in Thimpu Valley. Opposite the famous Clock Tower is the Hotel Ghasel. Its central location makes it ideal for a late night rendezvous in the city. It has all the lodging essentials a no-frills traveller need, including a restaurant and a bar. Another hotel around the Clock Tower is The R. Penjor Lodge. A stone’s throw away from the city’s shopping center, restaurant establishments and other attractions. The budget rates in Thimpu City start at around $7 a night. 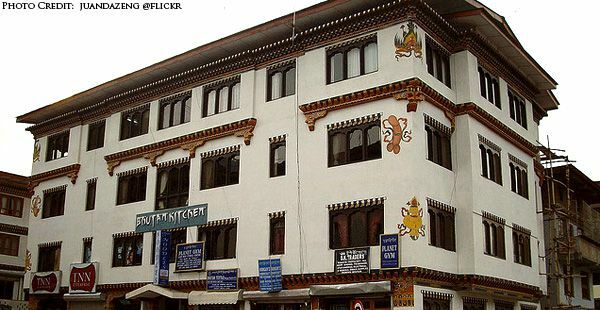 The hotels are booked through an authorized travel agent before coming to the Bhutanese capital.